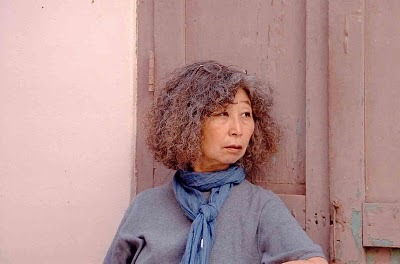 KAFFNY 2011 is hosting the first retrospective of Dai sil Kim-Gibson, the pioneering Korean woman documentary filmmaker as a part of their 5th Annual film festival. Varied in length, 5 of her docs feature Korean experiences overseas. Anthropological, yet highly personal in her approach, her films always examine the human cost of such dislocations and give voices to the voiceless. She will be at the panel discussion The LA Riots 19 Years Later at the festival with the acclaimed African American director and her frequent collaborator Charles Burnett (Killer of Sheep, To Sleep with Anger). Both Sa-I-Gu and Wet Sand tell the aftermath of the LA Riots from Korean women's perspectives. Filmed ten years apart, these films re-examines the meaning of American Dream. The title Sa-I-Gu refers to the date (4/29) of the LA Riots in 1992, when much of the South Central LA was engulfed in flames after the acquittal of 4 white police officers whose beating of Rodney King was caught on tape. Many of the Korean businesses were burned to the ground while Bel-Air was protected by the National Guards. Filmed not long after the riot, Sa-I-Gu tells how the media portrayed the riots as borne out of Korean American vs. African American feud, totally ignoring decades of neglect in the poverty and violence stricken South Central. Many who were interviewed feel disillusioned about American Dream. If anything, Korean American community have become more class conscious. Motherland finds Kim-Gibson in Cuba where there are healthy number of Korean-Cubans. During her stay with a retired Korean-Cuban female professor of Pedagogy, the matriarch of a large family and of the same age as Kim-Gibson, the filmmaker reflects on her own rootlessness, her increasing alienation from the US- her capitalist/imperialist adopted homeland. Then there is Silence Broken/Korean Comfort Women. A searing documentary about Korean women's sexual servitude under Japanese army in WWII. With compelling interviews and testimonies, it tells how one woman came forward to break the silence after 60 years.